The new horror queen is the beautiful Kim Chiu in Star Cinema's latest horror film "The Ghost Bride". 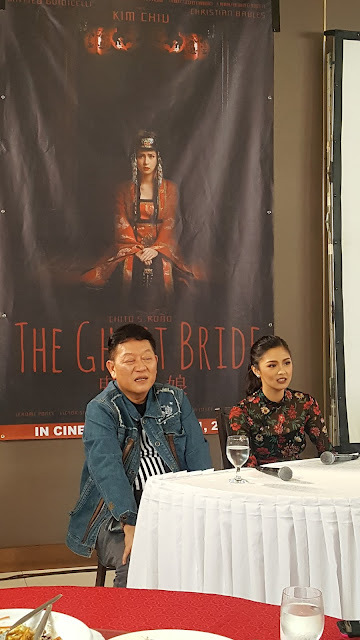 We met Kim Chiu with the master of horror movies Direk Chito Rono yesterday at the Oriental Palace to talk about this exciting pinoy flick. Starring Kim as Mayen with Alice Dixson, Christian Bables, Mateo Guidicielli, Robert Sena, Ina Raymundo, Beverly Salviejo, Nanding Josef, Mon Confiado, Cacai Bautista, Victor Silayan and Jerome Ponce, "The Ghost Bride" will narrate the story of Mayen(Kim) -a Filipino Chinese who will accept the offer of Madame Angie Lao(Alice) to marry the dead to follow a secret Chinese tradition. 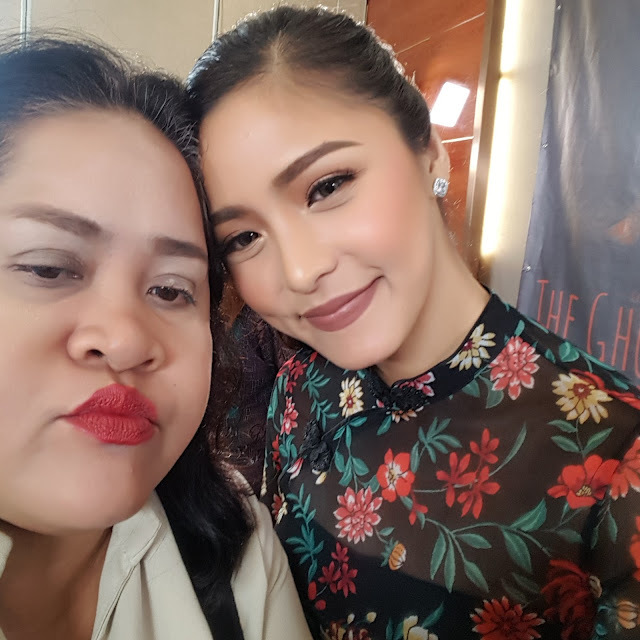 Kim shared to us how her grandmom was also a ghost bride and maintained to keep her family after all these years. She also shared that she is open to follow the Chinese tradition unless otherwise not prescribed for the sake of the family's welfare. What was most interesting was Kim sharing how she is also scared by friends and family saying she was seen at the house when she's out at work. 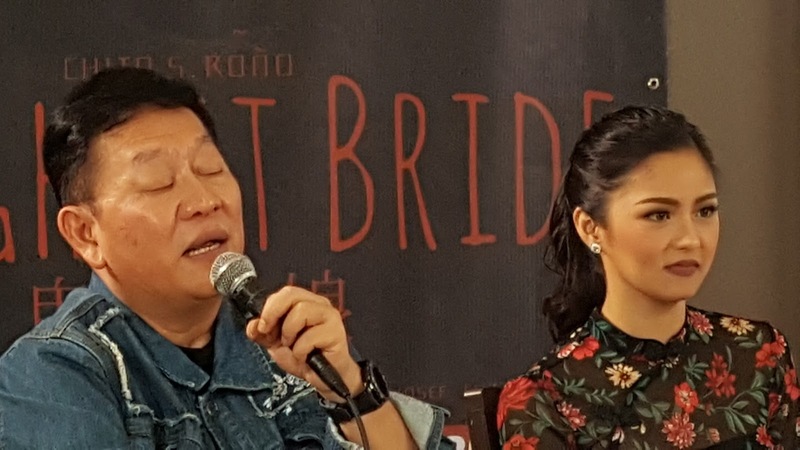 Direk Chito Rono whom we loved bringing "The Healing" also shared his scary experience when he was young with cousins seeing things move on their own like poltergeist movies. 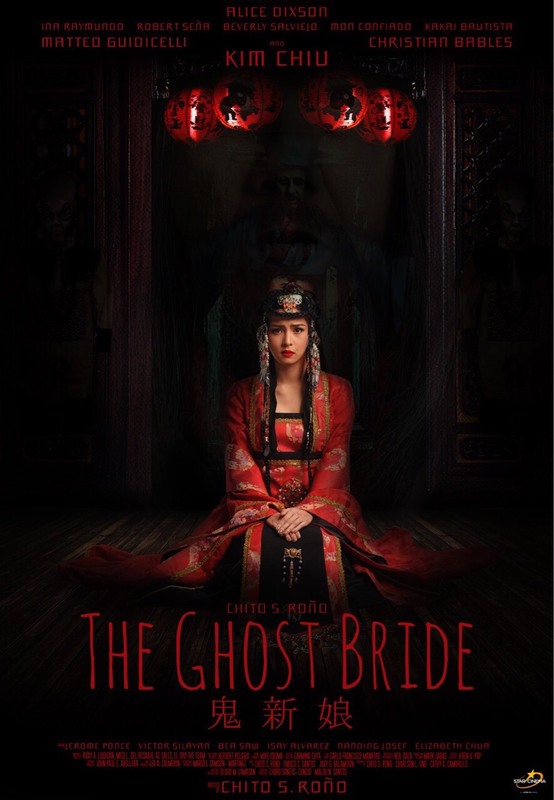 We screamed our lungs out watching the trailer of "The Ghost Bride" during the screening of "Seven Sundays" and we loved it. The colors and the scenes promises another blockbuster so don't miss it on November 1 in cinemas nationwide. For more info visit www.facebook.com/starcinema.